While back at Shroom Shroom Field, the Koopa who just caught seconds ago, is definitely trying his best to make a nasty expression of himself to the Mushroom Force Rangers, GamerZack, Ruikafan, and BurstDash, which is not going as he first plans. Koopa: EEEEEEEEI!! Just hold on for sec or two, I almost got the thing lifted off the ground a slight milimetre. EEEEEEEEI!! When I do, you three are sauce!! BurstDash: Am, say. I do not like to be rude or such, yet ain't that hammer is just, if I have to say, too heavy for you to use well at all? Saying this, the koopa just that Kamek is just next to him, giving him such a scare. Koopa: Ah I mean! Yeah, say all what you like to say about how dumb we koopas all are!! Just because you're possibly are related to that red chubby guy, Mario, doesn't mean you can look down us any way you want! Just you wait. I'm gonna lift this hammer to pound you all, and get myself promoted into those cool Hammer Bros. squadrons, which the respect they get is paramount! I can do so just by lifting this hammer! So wait there and I show you what I'm made of! EEEEEEI! As soon he finished, the koopa want back in trying to lift the hammer off the ground. Which he is still have a very hard time in doing so. The rangers just jerked to the side a bit, each with a big sweatdrop besides their heads, seeing on how pointless the koopa efforts is. The same can be said for Kamerk. BurstDash: Say, GamerZack. You know about the bean juice that we occasionally have at Professor Gadd university. Somehow, I got the feeling they may be a bit like our world version of coffee, even if it's maybe not. If I'm quite correct about it, I do guess this dear fella has too much to drink before attempting to make a expression of such. The Koopa Troopa pulls with all his might...so hard, in fact, that he pulls himself into his shell and spins right off the edge of the Gorge! Kamek: Oh, great...now I gotta replace that guy! Kamek casts a spell which causes a Koopa Troopa to appear. GamerZack: So do you make new minions or summon them from elsewhere? Kamek notices a bunch of minions staring at him. Kamek: -is TOP SECRET! You'll never know the truth! Koopa Troopa #3: Why did you bring me here, Kamek? I was just about to beat Level 4 of Toad Force V back in my home! You know, the one you summoned me from just now! Kamek: Great, just spoil all my secret spells, why don't you? Marioman: The Power of The Fire Flower! The Koopa Troopas watch as Marioman arrives. Koopa Troopa #4: Mario's here! He's here! Kamek: WHAT?! He's early?! ...no matter! Deploy the monster! An airship flies just above Marioman's head. A hatch opens. Nothing happens. An enormous, hairy bug with yellow and black coloration drops from the hatch. GamerZack panics. The bug pulls Marioman inside the airship. The hatch closes. GamerZack: What WAS that?! A...a...Queen...Scuttlebug?! GamerZack: What will you do with Mario- uh...Mario? Kamek: He is our prisoner. Peach will be unharmed, so consider yourselves free to go. Koopa Troopa #3: Uh...shouldn't we capture the other two Rangers as well? Kamek: What part of "Bring me MARIO and only MARIO!" do you not understand?! You know what King Bowser's like when he doesn't get his way! Kamek transports the minions - and himself - aboard the airship, which flies away. Stuffwell: Marioman has been encapturated! GamerZack: All according to plan. Kamek (on a giant TV screen): Mario has been captured, Your Turtleness! Bowser: Excellent work, Kamek! BWAHAHAHA! Kamek: Yes, well...having said that, he is displaying some...rather unusual behaviour. Kamek: Well, for one thing he seems to have a British accent. Bowser: Ooh, I've never been to British! Let's invade there after invading the Mushroom Kingdom! Kamek: Yes, well we all know that Mario is from Italy. Bowser: Kamek, you dolt! 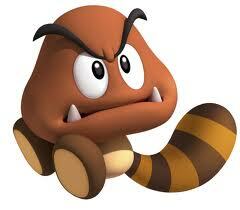 Mario and Linguine are both from Brooklyn, which is in the Kingdom of the Goomba's Shoe! Goomba #1 (to Goomba #2): Is he for real? Bowser: Anyway, keep an eye on our "guest". I want him unharmed until he gets here. Then we can sick Iggy's bug on him! Kamek: Will do, Your Turtleness! Koopatrick: Somebody just placed a bid of 10,000 Coins for your toy, my king! Bowser: Excellent, Koopatrick! Let's squish that insolent Goomba to celebrate! BWAHAHAHA! Goomba #1: Aw, man! I hate it when he squishes me! I get a new scar every time! Meanwhile, back in Gadd's Lab...GamerZack, Rukiafan, BurstDash and Stuffwell return. Rukiafan: Where did Burstdash just go? Wait you don't think that Bowser or that Dr. Robotnik guy kidnapped him do you? GamerZack: Actually, I think he went running into his dorm, so no need to worry. Everybody sits in front of the big screen. GamerZack, Rukiafan and Gadd stand in front of it presenting a slideshow of the plan. GamerZack: Okay, Step 1 is complete; Marioman is now "captured" by Bowser and his cronies. Gadd: This puts us in a very advantageous position, as we have managed to infiltrate the Koopa Kingdom. GamerZack: The next step is a doozy. Marioman will have to fight off whatever monster Iggy has no doubt created for him to battle. Meanwhile, we'll be aboard Airship Mario en route to the Koopa Kingdom. BurstDash comes running back from his dorm, slipping on a banana peel and sliding down another corridor. GamerZack: BurstDash?! Okay, who left that banana peel in the middle of the floor?! A Toad bursts out laughing. Print T.: HAHAHAHA! That really is the funniest form of slapstick comedy! Another Toad elbows him. He stops laughing. Print T.: Uh...I mean...*clears throat*...is he okay? GamerZack: I'll go and check. We'll continue the presentation when I return. GamerZack follows the trail of banana skid. Gadd: Well...that was...eventful. Anybody care for cake? Meanwhile...a green-skinned nerd with glasses and a big grin spies on the team on his hover scooter. Strangely, nobody even realises he's there. He writes something onto a notepad. ??? : Banana...skins...funny...I must report this back to my mistress! I have chortles! The green man flies away without anybody seeing him. A chill runs down Gadd's spine as GamerZack and BurstDash re-enter the room. GamerZack: That's because we're all watching you. Gadd: Yabo yabo! You are correct, Gamer! Meanwhile Rukiafan receives a message from Gadd that the rangers must save Marioman before Christmas or Bowser will toss him into Grumble Volcano! GamerZack: Marioman's gonna be tossed into Grumble Volcano?! Rukiafan nods. When he looks back at GamerZack he realises his shirt has vanished, and everybody is in the middle of a Mario Party game board. GamerZack: Now who wants to party? MARIO PARTY! Gadd: Right on, man! Let's get down and party! Naruto: I brought the Jutsu Chips and the Hidden Leaf Soda! Rukia: Did somebody say cucumber sandwiches? Rukia is holding a gigantic Star Coin covered with cucumber sandwiches. At this point Rukiafan is very confused. GamerZack: Rukiafan! Wake up! We're almost there! A loud thunk is heard coming from below the airship. Gadd: Airship Mario has landed in the Koopa Kingdom. GamerZack: So are the Mecha ready to deploy? Gadd: Of course! Rukiafan must morph and pilot the Koopa Troopa Mecha. You must accompany him, Gamer. Gadd: I don't want Rukiafan near Bowser's Castle alone. Plus, I thought you'd enjoy the adventure. GamerZack: Oh, okay, as long as I can stay inside the Mecha. Ready, Rukiafan? Gadd's thoughts: I can't tell Gamer what has happened to him...I must find a solution to the problem first. GamerZack suddenly flashes with a bright blue light for a moment so brief that nobody pays attention. GamerZack: I get to ride in a Mecha! This is awesome! It's like I'm an honorary Ranger before I even find my Coin! Gadd: If you find yourself in danger, use this. It will protect you. Gadd hands the Game Boy Horror DS to GamerZack. GamerZack: The Game Boy Horror DS? Gadd: I added a feature which creates a protective barrier around the holder. Rukiafan, now morphed, sits in the cockpit of the Koopa Troopa Mecha, while GamerZack sits in a makeshift passenger seat behind him. GamerZack spots the bar fridge to Rukiafan's right. GamerZack: Ah, so this is what contains the Mecha's motherboard. Gadd is really clever for coming up with that. GamerZack checks the map on the Game Boy Horror DS. GamerZack: According to the map, we should be nearing Bowser's Castle now. Oh, this is awesome! I feel like a real Power Ranger! GamerZack flashes blue again. Amazingly, nobody has noticed it this time either. Kushina: Where is everyone? At this rate Marioman really will melt in a volcano. Meanwhile, in Bowser's Castle...Marioman lies stunned in an arena surrounded by an audience of some 5000 minions. Bowser: Release the Queen Whatchamacallit! Kamek: You mean the Queen Scuttlebug? Bowser: Yeah, what you said! Hurry up and release it! Kamek presses a button, which causes a cage to open. The oversized, hairy, yellow spider emerges and scuttles towards Marioman. Bowser: BWA HA HA HA! This'll be great! Audience Member Koopa: I looked at fifty rings in a jeweller to find you the perfect one, my love. Will you be my Super Koopette? Two Hammer Bros. grab the male Koopa and drag him away. Hammer Bro #1: You know the law! No upstaging of King Bowser's events with any form of romance! The Queen Scuttlebug walks over to Marioman, saliva dripping from his insectlike mouth. Marioman is still stunned. Bowser: At last, Mario will soon be vanquished! After 27 years I'll be rid of him forever! BWA HA HA HA! Suddenly, the Koopa Troopa Mecha crashes into the arena. GamerZack: Finally! That trip felt like it took a month! Gadd (via GZ's Cellwatch): It only took 15 minutes, GamerZack. Bowser: HEY! I'm eliminating my nemesis, you overgrown terrapin! Kamek! Which of my oversized minions is that?! Kamek: Uh...that's not a minion. It's one of Gadd's Mechanical Zord Creatures. GamerZack: Kamek, how could you? I thought we were friends! Bowser: Kindly go away, whichever Ranger is inside that tin-can turtle! I'm about to squish Mario here! GamerZack emerges from the cockpit. GamerZack: Hey Bowser! I've got something to tell- whoa, it's a long way down! Uh...oh yeah! That's not Mario! It's the Red Ranger! Bowser: Yeah. I know. Mario is the Red Ranger. Bowser: You already knew that, ya idiots! That's why we're all here today! The crowd talks amongst itself with phrases such as "Oh yeah." and "I knew that." GamerZack: I'm trying to tell you that no, it's not Mario. It's Marioman! Bowser: Anybody gasps again and there will be consequences! GamerZack: Don't you get it, Bowser? We tricked you! GamerZack: Shouldn't you be inflicting punishment on yourself for gasping? Bowser: Huh? Oh yeah. Kamek, make a note that I am not allowed to have dessert tonight. Rukiafan: We're here to take Marioman back, but we should probably do something to even the odds a little! Rukiafan pulls a lightning bolt out of his pocket and shrinks everyone else in the arena! Rukiafan: Oops I think I shrunk Marioman and Gamerzack too. GamerZack: Actually, it bounced off me and made the Queen Scuttlebug doubly shrink. Look at how tiny he is! The Queen Scuttlebug hisses at GamerZack. GamerZack throws an object at the Queen Scuttlebug, which crushes him. Bowser (squeaky voice): HEY! You squished my monster! Kamek: Not to worry, sire. I'll make the monster...GROOOOOOOOW!! Bowser: (squeaky voice): Dramatic much? Hey, how come you didn't shrink?! Kamek: I deflected the lightning with my Koopa magic. Now to revive Queen Scuttlebug! Kamek flies over the arena, casting an enlargement spell on the Queen Scuttlebug, which grows to a ridiculous size. The arena crumbles to the ground. Bowser (squeaky voice): Was anybody hurt?! Kamek: I think everybody escaped injury, sire. Bowser (squeaky voice): Oh man! I NEVER GET MY WAY! GamerZack: That's one big bug! GamerZack climbs into the cockpit. The Piranha Plant Mecha arrives on the scene. Marioman: Uh....Kamek you might want to make your Queen Scuttlbug a little larger since she is only the size of a normal Queen Scuttlebug. Bowser: -er spell on him...wow, he's huge! GamerZack: Where the Delfino did THAT come from?! Gadd (via GZ's Cellwatch): It appears that the Lakitu Carrier has malfunctioned, deploying the Blue Ranger's Spiny Gaddmecha near the two active Gaddmecha. Since the Spiny Gaddmecha is not functioning, it means that the Blue Star Coin has yet to be located. Until it is found, we cannot activate the Mecha. GamerZack: Do you know where the coin is, Professor? Gadd (via GZ's Cellwatch): Last known location...Cloud World. However, I do not have a Warp Pipe that will transport you there. GamerZack: OOYAMA! That could be a problem! Kamek: ...don't give up your day job, GamerZack. GamerZack: Eh, just thought I'd try it out. It feels like I say it all the time in a TV show. Suddenly Shadow heartless pop out of the ground and begin to attack everybody! Kamek: Do you like my spell, GamerZack? While at Mushroom Gorge, a handheld game console made by something called "Nintendo" fell onto my head. While the minions looked for the Blue Star Coin I played it. It was a game called Kingdom Hearts, and it had wonderful creatures called Heartless! GamerZack: I'm sorta familiar with Kingdom Hearts. Kamek: Anyway, I created my own using a spell of mine! Meet the Ghostless! KEHEHEHEHE! GamerZack: They look like the ghosts from Luigi's Mansion, except they're all dark purple. So why call them "Ghostless" when they're nothing but ghosts? Kamek: Well...it...they're less ghosts with...uh...more power and...uh...shut up! Kamek: Oh, and these ghosts are impervious to suction of any kind. Enjoy! Bowser: Look, I'm sorry for how this all turned out. If everybody would make their way to the nearest castle, you can all have some delicious cake. Bowser: You three Ranger dorks get to play with the...uh...Ghostless. Yeah, that's it. GamerZack: BUT I'M NOT A RANGER DORK! I DON'T EVEN HAVE A COIN YET! Oh man...those Ghostless are scary. GamerZack: That Ghostless must be causing interference. Let's take him down! Rukiafan:Uh....Zack we have a problem! Those silly ghostless that Kamek has created have attracted real Heartless to this already hectic battlefield! Kamek (via GZ's Cellwatch?) Oh, I forgot to mention. I made some of the Ghostless just like real Heartless. You can call them Heart...Ful...Ghost...Less! KEHEHEHEHE! GamerZack: HOW DID YOU GET THIS NUMBER?! The Heartfulghostless surround the Giant Ghostless, which eats them and grows more powerful. GamerZack: -right about...hey, the thing must have booted up itself! That's clearly what Gadd was trying to tell me before. GamerZack: HEY! Leave him alone, you second-rate Magikoopa hack of a Kingdom Hearts character! The Giant Ghostless turns to the Spiny Mecha and throws a Heartfulghostless at it. GamerZack: I didn't mean attack me instead! GamerZack: What does this do...? GamerZack: Oh...uh...these Mecha combine together. Should we...combine them together while it's distracted? I'm sure whoever the Blue Ranger's gonna be won't mind. Bowser: Haha! You can be a real square sometimes, Kamek, but this Glass-half-empty-less thing you summoned is awesome! Kamek: You can thank Square for that, my king! Bowser: But I thanked you already, you square. Kushina: Gadd what can I do without my ranger powers? Gadd: Hm...wait! I know exactly what we can do, Kushina! Milk T.: Uh...why not just say the plan outright? It's not like there's anybody nearby that we don't want to hear it. ??? : This is pure GREEN GOLD! I must post this on the Ninternet! CHORTLE CHORTLE CHORTLE! GamerZack: Okay, activating combination mechanism! Two forearms detach from the bases of the Koopa Troopa and Spiny Mecha, and the head of the Koopa Troopa Mecha detaches and converts into a helmet. Both Mecha then convert into legs and feet. The Piranha Plant Mecha converts into the upper body, waist and arms of the combined robot. The forearms and legs attach to the torso, and the head flips up. Finally, the helmet slides onto the head. The combined robot leaps into the air, lands on the ground and performs an action pose. GamerZack: HEY?! How come the Super Mecha scenes are CG and the rest of the show is cel-shaded anime style?! Marioman: What about me?! Why can't I get into my mecha? GamerZack: Oh, shoot! Marioman's still on the ground! GamerZack (via Marioman's Cellwatch): Marioman! You need to think about leaping up to the Mecha's hatch, then you'll leap up here. GamerZack: Wow, even the slightest thought about leaping can set that off! Gadd: Why is the Super Mecha Tortoflame just standing there? You should engage the Heartfulghostless! GamerZack: Zzz...zhuh?! Oh, sorry, Professor. We were kinda daydreaming for a second. Gadd: That's quite alright, Gamer. GamerZack: So this robot's called the Tortoflame Megazord? GamerZack: Sorry, I couldn't help it! Rukiafan: ......oh shoot I forgot my mecha's power. Gadd: Press the big yellow button to make Super Mecha Tortoflame perform a mighty punch! Rukiafan presses the button. The Super Mecha punches the Heartfulghostless, which flies into a wall. As it impacts, some Heartless and Ghosts fall off and burst like bubbles, causing the monster to shrink. Morton Koopa Jr.: Gah! Marioman I challenge you to a duel! I'll show you who's more powerful! Marioman: What should I do guys?! GamerZack presses a random button. Super Mecha Tortoflame fires a fireball at Morton's airship. A new battle system has been added! Check the RPG Character in your profile for current stats! Also do not use the quick reply, instead use the full editor by using the post reply button and look for dice roll and use the feature to engage in a random encounter....I'll be the game master please enjoy! The fireball knocks down the airship and it crashes! GamerZack levels up to level 2! Rukiafan beats the Tanuki Goomba, but was slightly injured! GamerZack: Oh, right. We're in the middle of a battle. OOC: Maybe we should start a separate forum game for roleplaying. This one is more of a storytelling game. We could make the separate RPG like Mushroom Force but in an alternate reality. 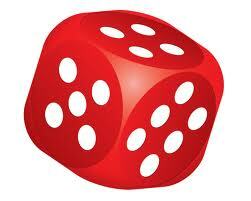 Use the full editor instead of quick replying to use the dice roll feature for random encounters! It looks like it crashed at 1-1 Plains.